Political dialogue in Togo has been arduous, since the contested 2010 presidential poll that saw the reelection of Faure Gnassingbé, son of former autocrat Gnassingbé Eyadema. On May 19, 2014, a new round of talks was kicked off, with the participation of all political parties represented in parliament, including the Alliance nationale pour le changement (ANC) of presidential runner-up Jean-Pierre Fabre. The discussions were launched on the heels of a promising meeting between Gnassingbé and Fabre on March 5th, 2014, the first time the two political leaders had met since 2010. This latest round of dialogue has thus far proved inconclusive. On June 3rd, opposition participants walked out and refused to sign off on the final report from the discussions, accusing the ruling party of being ‘inflexible’ on essential points – presidential term limits and the electoral system. The ruling party responded in kind – reproaching the opposition of dictating the terms of application of reforms to be agreed upon. The intent of this most recent attempt at dialogue was the achievement of agreement on 12 points concerning constitutional and institutional reforms. 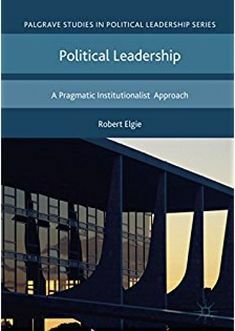 The ambitious agenda included: Togo’s political regime, the selection and powers of the prime minister, presidential eligibility [read ‘term limits’], the creation of a senate, and the electoral code. Following extended negotiations, Mgr. Nicodème Anani Barrigah-Bénissan, Bishop of Atakpamé, was selected to facilitate the dialogue. He had previously headed Togo’s Truth, Justice, and Reconciliation Committee, established to shed light on political violence in the country since independence in 1958, and particularly following the violent 2005 presidential poll that saw the election of Gnassingbé following the death of his father. The Bishop had successfully facilitated the conclusion of an agreement in July 2013 that led the opposition to take part in the July 25, 2013 legislative polls. That agreement had strengthened the presence of opposition parties on the election commission, secured public funding for electoral campaigns, and the release of hundreds of prisoners. The 2013 agreement did not, however, address the opposition’s essential qualms which include the absence of presidential term limits, and the electoral system for the presidency, which is decided in a single vote, with no run-off required. The opposition has not been in a position to push the electoral and institutional reform agenda forward in a parliament that is largely dominated by the ruling party Union pour la République (UNIR). Of the total 91 seats, UNIR holds 62, while the ANC and allied parties only control 25 (this includes the two alliances Sauvons le Togo and La Coalition Arc-en-Ciel). Another sore point is the repeated postponement of local elections. The last local polls in Togo date to 1987. Mgr. Barrigah labeled his report from the last two weeks of attempted dialogue a ‘progress report’ (rapport d’étape), as he prepared to submit it to the government which had only observer status in the discussions. It remains to be seen whether dialogue will successfully resume, or whether a promising attempt at laying the groundwork for peaceful presidential polls in 2015 will have failed. This entry was posted in Africa, Togo and tagged Africa, Constitutional Reform, Eyadema, Faure Gnassingbe, Jean-Pierre Fabre, political dialogue, presidential elections, Togo on June 9, 2014 by Sophia Moestrup.